I am a little confused and curious by what you meant in your last sentence though rxlexi? RE: Northpoint, I know they do quality work and think high-end senior housing on the Plaza will be a hit. But it's tough to make an 80's (?) office building into quaint senior apartments without it all looking a bit slapped together. Hopefully the end result is a success, I do appreciate that the architects tried to address the intersection/view with exterior balconies facing Plaza. Not every building can be the equivalent of granite countertops and hardwood floors on the exterior if more project are going to provide affordable options. According to a Business Journal article on endangered buildings the Christian Scientist church is to be torn down and replaced with a 13 story office tower. Would be a loss for the human scale along 47th and create a blocky wall on the north side. I wonder if they got this wrong and meant there is a 13 story office tower being built behind this church? I've read or heard rumblings that this Church is going to sell to a developer, so rumors about a office tower there could be accurate. I wish there were some buildings--like this--that were just off-limits, but many churches have had their denominations become so small that they cannot financially maintain their church buildings any longer. I doubt there are many other congregations clamoring to find a church these days, since church attendance is way down. This church is too small to interest the more popular churches. I really wish the downtown Church of the Resurrection would have bought this church instead of building downtown on Grand. Losing that building would be a shame. In Europe where church attendance is much lower than in the US, many old churches find new life as bars and restaurants. A smaller church would actually be ideal for this as the larger sanctuaries would be expensive to heat. I can't think of any off the top of my head. I have advocated on here before about redeveloping shopping malls by building a lot more on-site apartment buildings--especially taking into accounts the needs of seniors. This includes things like libraries, community centers, assisted-living and nursing homes, health clinics, doctors/dentist offices, ophthalmologists/opticians, dry cleaners, hair salons, hardware, grocery, and drug stores, and churches. I think I mentioned this in regards to Metro North, Antioch Shopping Center, and Bannister Mall. This will not be an affordable option, to the best of my knowledge. Looks like high end senior housing - not cheap. Overall point is reasonable, but this intersection and building are one of the focal points of the most desirable commercial space in the region - very much deserving of thoughtful/attractive design. Further, IMO the Plaza does not need "more affordable options". If anything, Plaza and immediate central downtown need to be pushing the highest psf retail, residential and commercial rents in the city to push the region forward. On a side note I noticed that Untuckit (the untucked shirt store?) is going into the former St. Johns space. Seems...like a big downgrade but a common tenant at other Taubman/Maserich assets. Oh man, I never thought about how cool it would be for it to be redeveloped for brewery/restaurant concept in the vein of Church Brew Works in Pittsburgh, PA. Local non-chain restaurant, tourism target in addition to the Plaza itself, and able to capitalize on the contemplated department store development right next door. Didn't find any demo or construction permits on Development Tracker, but looks like four homes at the corner of Summit and 45th St. (same corner as Crowne Plaza and Tudors) are being demoed. They are all very dilapidated homes from the outside. At least the one on the end always had a creepy van that never moved outside it and I saw the resident literally nailing a sheet of shingle things to the peeling roof of it previously. All 4 homes are owned by Westport Today LLC, a for-profit St. Luke's subsidiary tasked with improving the North Plaza around St. Lukes who also own a bunch more homes on that block. A new plan has been presented for a redevelopment into a Kimpton Hotel. It looks a little less ambitious, but it does involve razing a portion of the two story section on 45th St and replacing it with a 5 story building. Looks like everything would be getting a serious facelift. In 2006, the City approved a planned redevelopment of the Property that allowed a 12-story 257,800sf office building, a 6-story 156-room hotel, a 3-story commercial building containing 41,000sf and parking for 959 vehicles. City approvals also included a TIF incentive. The City’s approval of the redevelopment plan remains in place as the latest UR for the Property, but the TIF incentive has expired. In 2007, the current owners purchased the Property with the expressed desire to implement the City-approved redevelopment plan, or a similar version thereof. Then the Great Recession intervened, and that plan was shelved indefinitely. A wide spectrum of scrape-and-rebuild redevelopments were examined over the past four years, including schemes for an office/hotel complex, a hotel/multi-family project and even a dual-branded large hotel development. Unfortunately, the rising cost of new construction has caused these start-over options to be priced beyond economic feasibility. Plans for the Nordstrom have been submitted. It does involved demoing the eastern portion of the garage and Cinemark building. The architecture doesn't have any Spanish elements or nods to the Plaza architectural style. I'm sure the Save the Plaza folks won't be pleased. If they are demoing and building new, I would like to see them build back at least as high as the current structure, adding a couple floors of apartments or offices above the Nordstroms. ...The architecture doesn't have any Spanish elements or nods to the Plaza architectural style. I'm sure the Save the Plaza folks won't be pleased. I guess it depends on what they will do with the "textured" architectural panels. Yes, adding floors on top of the Nordstrom would allow for the possibility of adding the "desired" wide-plate floors of offices, or even apartments. Not too impressive. I guess it's slightly better than the Saks building but it's still pretty sad. I knew it would be small but that seems really small. I don't mind the lack of a spanish component (the present building's attempt at being part of the Plaza architecturally is poorly executed) but it's just an uninspired design that looks very 119th and Roe-ish in terms of both density and style. Agree with everyone about the height. IMO they would help themselves just by raising the store up one level. Keep the entry in place, but let there be some small tenant stalls along Jefferson. Even just a cafe with an outdoor seating deck on the second level would make it better. I don't know if anyone else is thinking this, but I wonder how long the Nordstom will even be there. What happens if they close that location 10 years after rebuilding the parcel? Do they tear it down once again and rebuild? Will this new building be designed to be separated into smaller retail spaces? Where are these plans loaded to? CompassKC? So in 2001 a 20-year TIF was established (in part) to build, maintain and/or subsidize this garage. Now we're going to tear part of it down and replace it with a low-rise department store that will likely have dedicated spaces for it's shoppers, and probably other dedicated parking if Seville becomes office space. While others don't think the location warrants a faux-Spanish motif, I think it does. Even though the current building where Cinemark is missed the mark, at least an attempt was made to prevent the building from being utilitarian. There's nothing wrong with holding the architecture up to a higher standard and require something Plaza-esque. 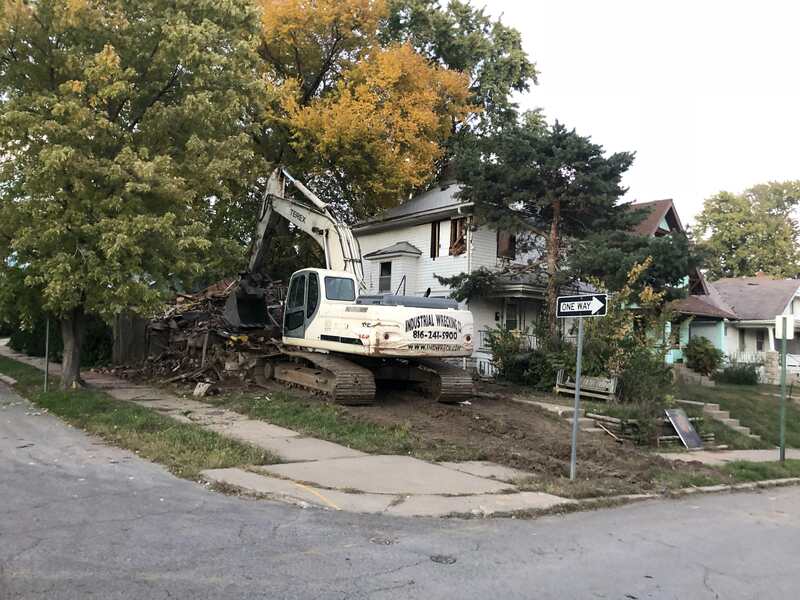 Otherwise, there's really nothing stopping from tearing down other blocks and replacing with generic structures that could be Zona Rosa or Leawood Park Place. Nichols Rd dead-ends at Penn - I want something unique for the line of sight blocks away. While others don't think the location warrants a faux-Spanish motif, I think it does. Even though the current building where Cinemark is missed the mark, at least an attempt was made to prevent the building from being utilitarian. I am more concerned about the size/scale/density. For one, if this is just two stories, it is going to expose probably 3 levels of the remaining parking garage behind it. I would hope they at least put a facade or screen over that portion of the garage, or it is going to look ugly. Also, this would be a good opportunity to add some apartments or office space, which seems tough to do lately (especially in the bowl) thanks to Save Our Plaza folks. Are you just doing random compassKC searches? It seems to me that once they rolled out compass, the city did away with the development map (at least from the attachment standpoint). fyi; there's an article in the Kansas City Business Journal today with additional renderings of the new Nordstrom store on the Plaza. I agree that Nordstrom could put a little more effort to make it fit more with the existing architecture of the area.